They say it is better not to get too attached to your possessions but as human beings we often do. We not only love the possession for the way it looks or you can utilize it but also in intangible ways like the way it makes you feel or the luck that you feel that it brings to you. What is more, we often feel that wasting something is not a good thing to do. In this article, we are going to look at ways in which you can reuse your old shirts in different ways. It may not involve the same kind of work that would be involved in something like DIY bird feeder ideas for kids and neither will the results look the same. But the underlying principle could be the same; which is the reuse of something old. The use of old things in a new way is not a new concept but it is a very good concept nevertheless. 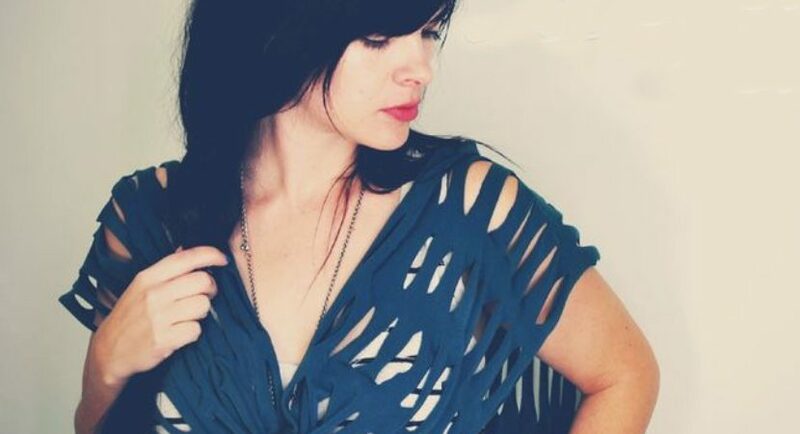 That is why you will love the concept of intelligent ways to reuse old shirts. Take for instance, vintage 20th century home decoration ideas for instance; it is all about using up older things. The thing is not only does using up older things make a lot of economic sense, but also has a tendency to kindle your creativity and imagination. Take the works of Oriol Cabrero; unusual and impactful, and you will realize what we are saying about such projects kindling creativity. 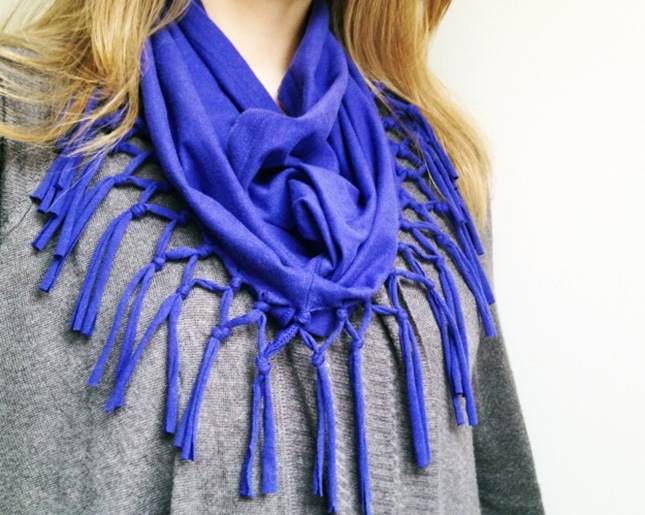 Fringe scarf: Cut the part under the sleeves and cut the hemline into fringes and you have a simple but stylish scarf without even having to sew. 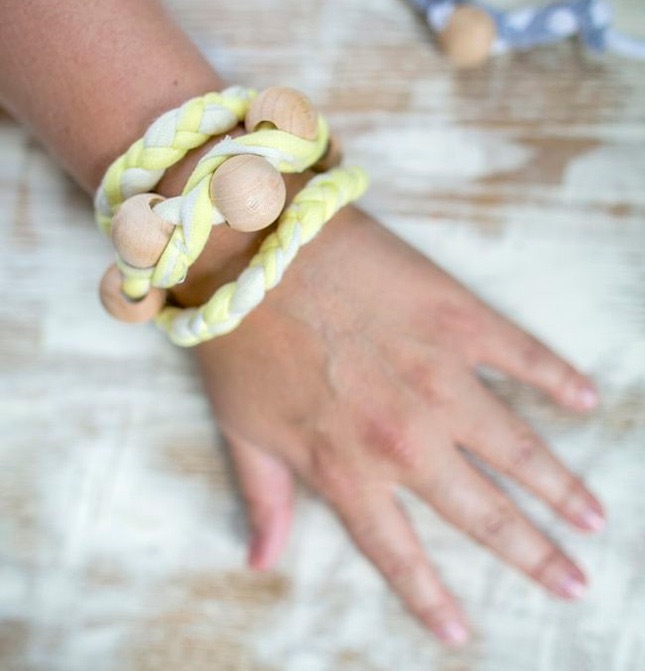 Braided bracelet with wooden beads: Using large wooden beads will work very well with the braided bracelet that you will create with an old shirt. 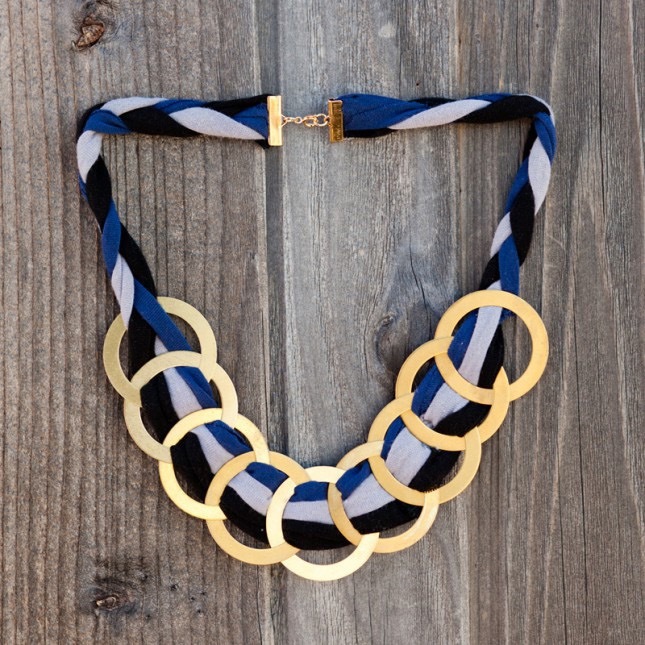 Brass ring necklace: Make a style statement with this necklace that has pieces of your old shirt and gold rings. 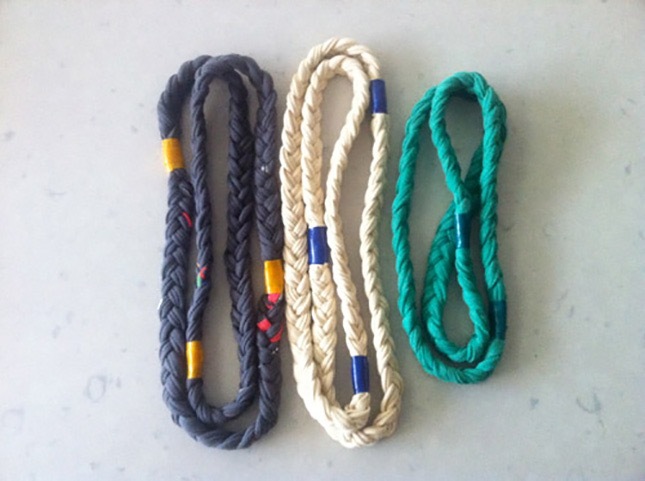 Nautical necklaces: Braided up those pieces of old shirt and add a pop of color in between with the use o colored duct tape. 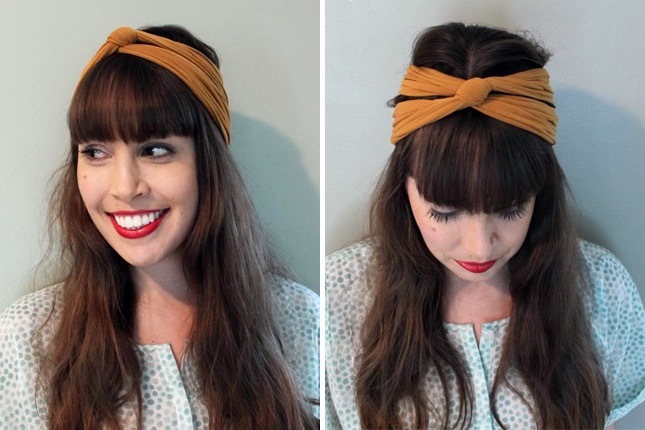 Turban headband: If you have always wanted to try a turban, this is a good way to do so without going to all that expense. 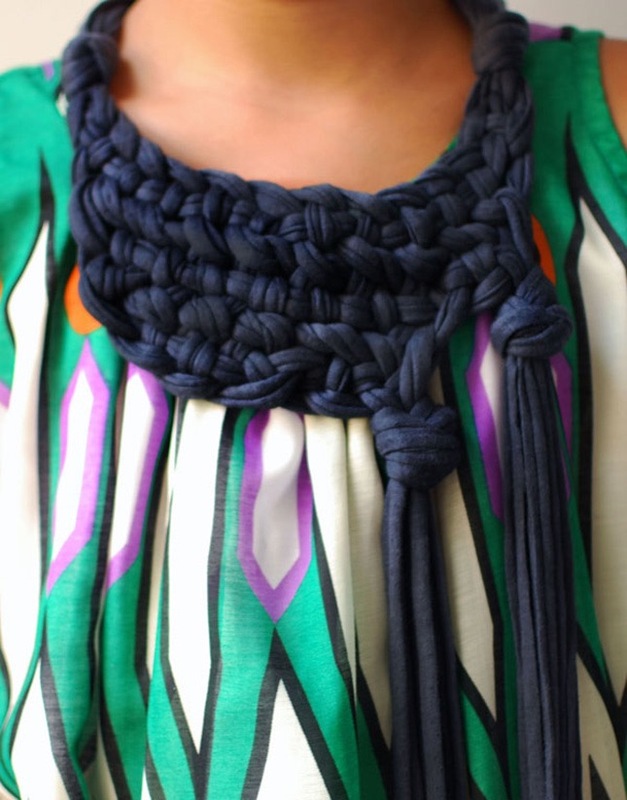 Chunky necklace with knots: This is somewhat of a cross between a cloth choker and a scarf and all from your old shirt. Wrap bracelet with patterns: This is simple enough to make with a bit of chain and bits of colorful pieces from various old t-shirts. It is a genius idea that is so simple to do. 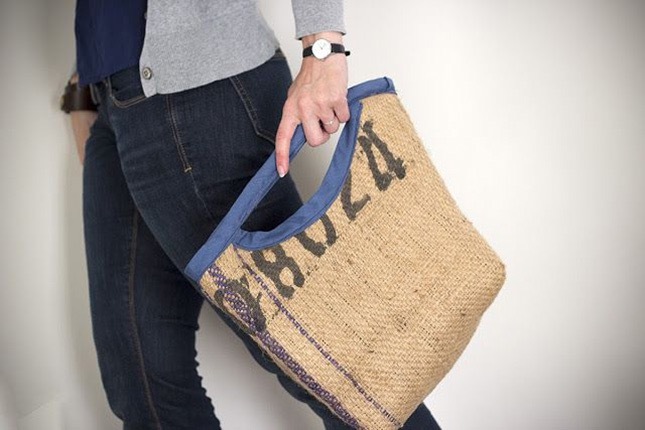 Burlap bag with shirt lining: Not only can you make your burlap bag look more attractive with lining from your old colored shirts but also line your back with it for endurance and also a neat look. 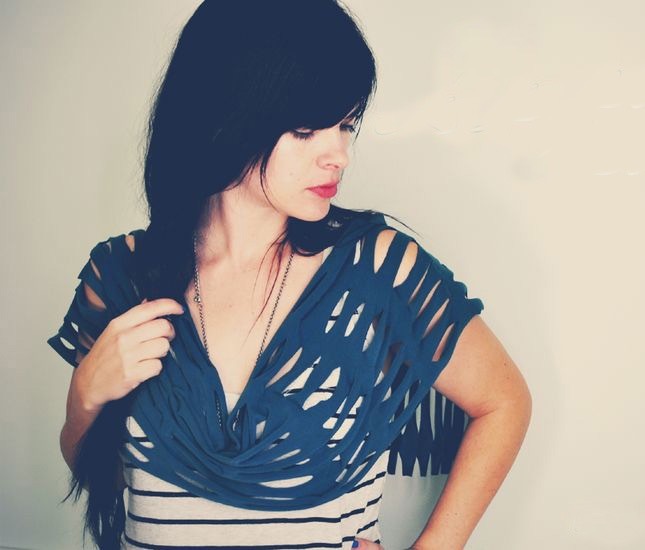 Slasher scarf: Vent out your frustrations but do it in a controlled way by cutting up your t-shirt to make a stylish and one of a kind scarf that will have you earning the envy of your friends. 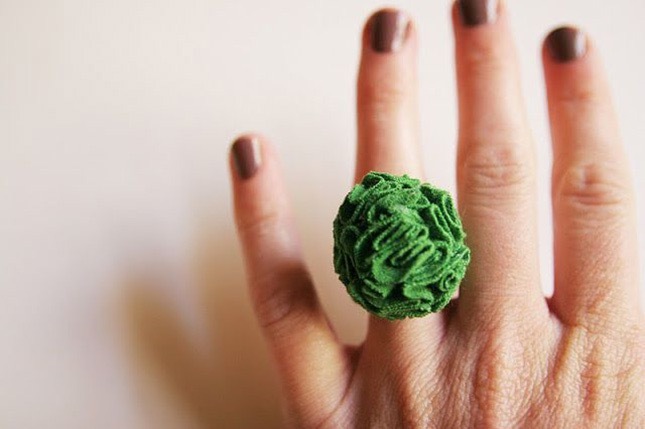 Flower ring: It is easy enough to fashion a rosette out of an old t-shirt and starch it and add it to an old ring to make a statement ring. You can also fashion earrings and pendant to make a complete set. The thing is that old shirts and t-shirts can be used for many things like pillowcases, dusters, simple garment covers, etc. but in this article, we have gone for an artistic angle. This is because we feel that you should be able to use your creativity in as many ways as possible.